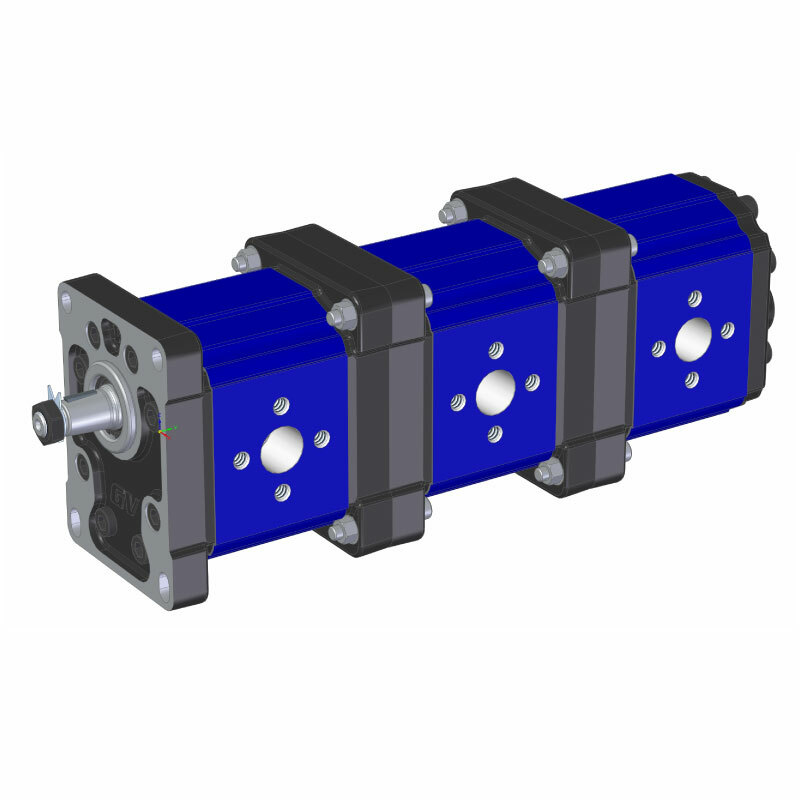 Multiple hydraulic pump already assembled, with external gears, with cast iron flange and cover. It is a component of group 3. The flange of this model has a diameter of 50.8 mm. We can supply this product with elements of different size groups in order to handle even flows that are very different from each other. For more information contact our sales office. In the following table you will find the multiple pump stages (primary, intermediate, final) that can be mounted on this product.